I’ve pimped Rainbow’s End before; it is a great book and well worth reading. And it is now available online from the author in preparation for Hugo awards season. Go have a read. FWIW the book is called Rainbows End (without an apostrophe). Very nice book, even if it received mixed reviews at Amazon. But thanks for linking to the site containing the full text version and some illustrations made by Vernor Vinge. 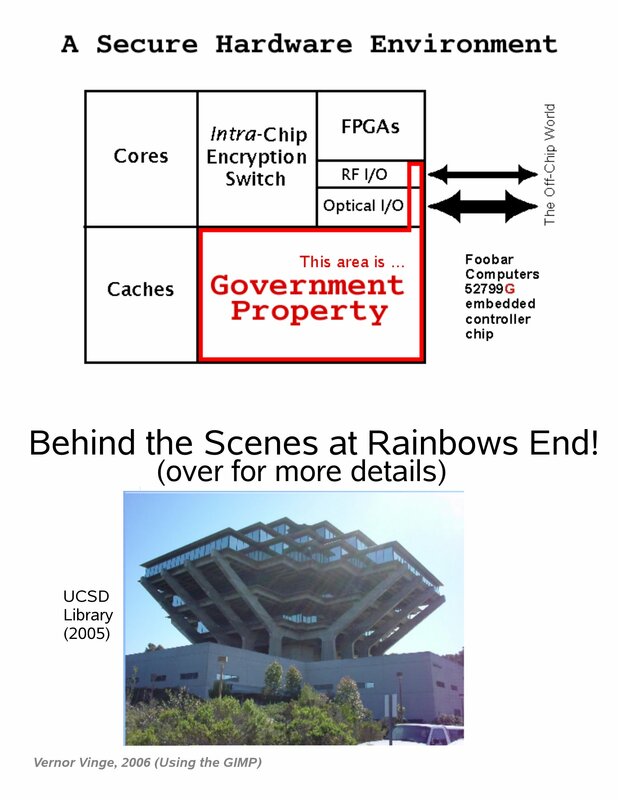 Did you notice the copyright statement at the bottom of the “Outer” image (http://vrinimi.org/front9uns.jpg), which says: “Vernor Vinge, 2006 (Using the GIMP)”. A GIMP user! Now I have to buy more of his books! MG: ah, yeah, I was in a hurry this morning. Luis: Of course he knows about Unix and Linux. As I just noted in my blog, he is even a member of the award committee for the FSF Free Software Awards (it’s a pity that he didn’t come or I didn’t see him when the awards were given at FOSDEM). But seeing an explicit reference to GIMP was very nice. Whoa, I had no idea about that. That rocks! I’m forgetting this (and I think I’ve read all his novels)..